1. 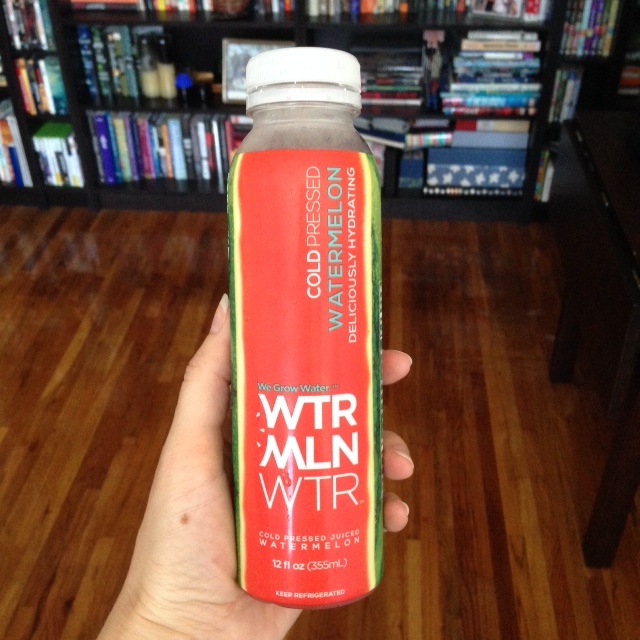 WTRMLN Water: summer in a bottle! I’d been eyeing these for awhile at Whole Foods, and when I went last week they had two for $6 sale so I bought a bottle. And it is delicious! It’s cold pressed watermelon juice and the only ingredients are watermelon flesh, watermelon rind, and organic lemon. I wouldn’t buy it regularly at its usual price but it’s great as a refreshing occasional treat. 2. 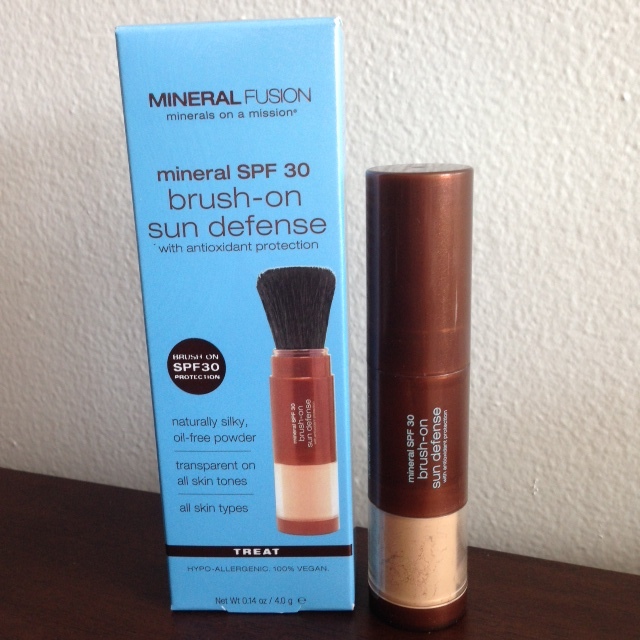 Mineral Fusion Mineral SPF 30 Brush-On Sun Defense: another Whole Foods buy; they had this on sale for $19.99 and at checkout the cashier gave me a $3 off Mineral Fusion coupon, so I got the product for $16.99. I’ve tried Brush-On Block, and while it’s good it’s pretty pricey, so it was nice to see a similar product for a lot less. The only thing with this one is that it’s not water resistant—I think it’s meant more for the face than the entire body—but I’m going to give it a shot this weekend and see how it goes! 3. Summertime Punch at Kings County Distillery: more watermelon! Last Friday night we went to KCD’s “whiskey in the garden” party and ordered a summery punch to start off with. 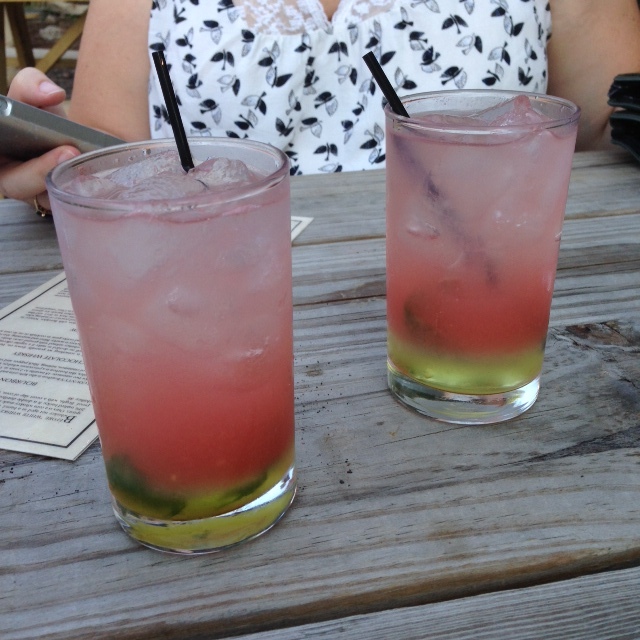 The punch contained the distillery’s own moonshine (which is much smoother than you’d expect), watermelon, and basil. YUM! If you’ve never been to Kings County Distillery I recommend checking out one of their garden parties; they have a rotating roster of food vendors—last Friday was Arborio King—and it’s just a very cool atmosphere. It’s located in the Brooklyn Navy Yard so it’s sort of removed, which makes you feel like you’re not even in NYC. 4. 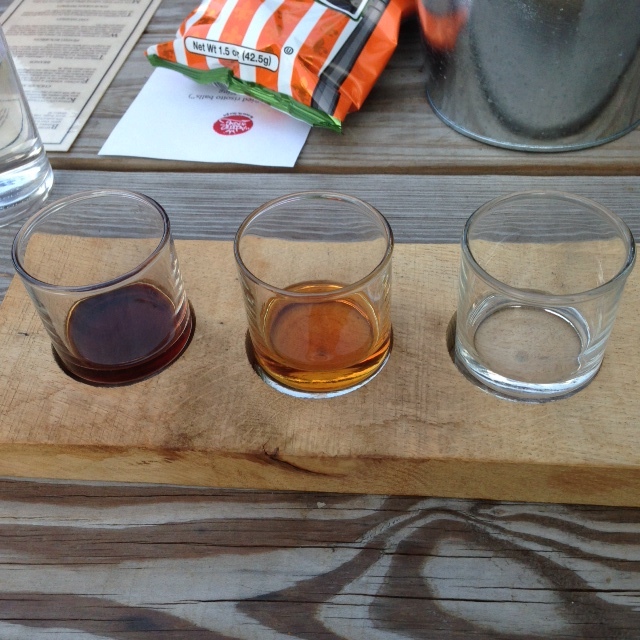 …and speaking of Whiskey in the Garden, I also got a whisky flight with a trio of Kings County Distillery’s Brooklyn-made booze. From left to right in the photo, I tasted chocolate whiskey (moonshine infused with Mast Brothers chocolate), bourbon, and moonshine. (I actually tasted starting from right to left as recommended by our server.) I’m no whiskey aficionado but I enjoyed all of them, and they came nicely presented to boot. 5. 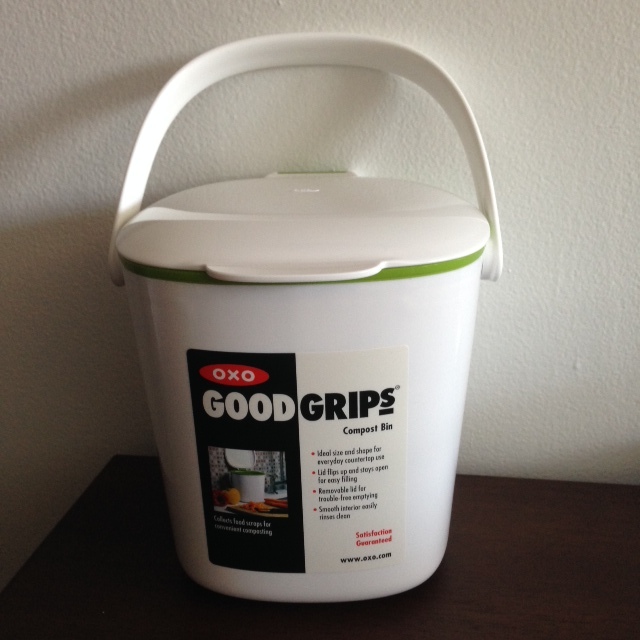 Oxo Good Grips Compost Bin: we recycled our stinky old city-provided compost bin when we moved out of our old apartment, so we needed to get a fresh bin to use in our new place. I found this attractive Oxo bin on Amazon for $19.99 and so far I like it. It’s compact so it doesn’t take up much counter space, and the fact that it’s small will force me to empty it frequently. Yay for composting!